In fact, the change of name, surname and patronymic is not an uncommon phenomenon. According to paragraph 2 of article 19 of the Civil code and Chapter VII of the Federal Law No. 143 "About acts of civil status", an adult citizen of Russia has the full right to change the name, surname and patronymic. This can be done at least every month. Wait until adulthood. In accordance with the current legislation of the Russian Federation, a name change is possible only on reaching 18 years of age. From 14 years with parental consent. Name change under 14 years is carried out only on the initiative of parents and with the consent of the guardianship. According to the family code, if parents live separately and the parent with whom the child lives wishes to give it his surname, the guardianship and guardianship body resolves this question depending on interests of the child and taking into account the views of the other parent. The voices of the other parent is not required in case of impossibility of establishment of its location, deprivation of its parental rights, a recognition incapacitated, and also in cases of evasion without good reasons from upbringing of the child. If the child was born from persons, not married among themselves, and the paternity legally is not established, the body of guardianship and guardianship proceeding from interests of the child shall be entitled to permit to change its surname on a surname of mother. Change the name of one of the parents does not entail the change of name of minor children, but if both parents changed their names (one or different), they must apply to the registry office and change the data on the name of one of them. Adult children changes may be made only with their consent. Submit an application to the Registrar. Here you have several options: contact the registry office at the place of residence or the registry office which issued your birth certificate. The inhabitants of some regions of the Russian Federation may apply through the portal gosuslugi.ru. The statement must contain the following information: name, date and place of birth, citizenship, nationality (to be indicated at the request of the applicant), a residence, the marital status (is or is not married, widowed, divorced) of the applicant; name, date of birth of each of the applicant's children under the age of majority; details of the records of acts of civil status, made earlier in respect of the applicant and in respect of each of his children under the age of majority; name chosen by the person wanting to change the name; reasons for change of name; signature and date. Simultaneously with the filing of the application, you must submit the following documents: birth certificate of the person wishing to change the name; certificate of marriage if applicant is married; a certificate of dissolution of marriage if an applicant requests assignment of his premarital surname in connection with the divorce; the birth certificate of each child applicant under the age of majority. Pay state fee. This can be done in any branch of Sberbank of the Russian Federation. In accordance with the PP. 4 clause 1 of article 333.26 of the tax code, the state duty for the change of surname, name, patronymic is 1000 rubles. Later will have to pay 200 rubles for each new certificate of registration of acts of civil status (for a new marriage certificate, etc.). Will receive a certificate of name change. 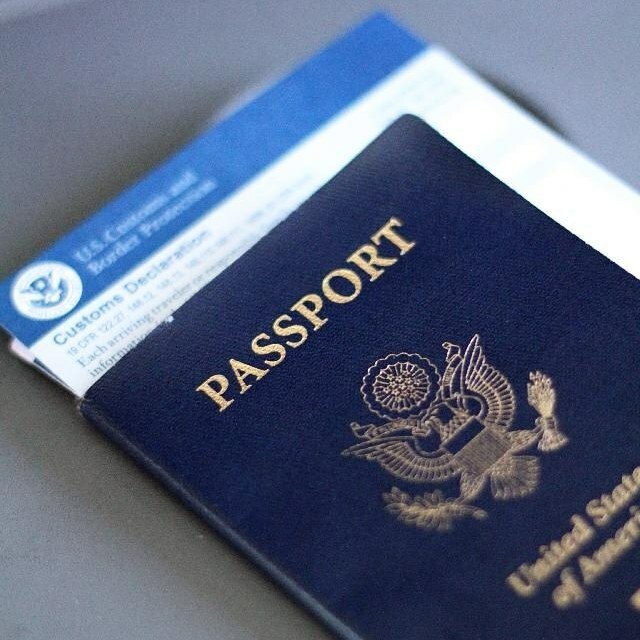 After 1 month from the day of application you will be issued a certificate of name change, which is the basis for a replacement passport and other documents. This period may be increased to 2 a month by the head of the registry office for valid reasons (for example, if you have not received copies of records of acts of civil status to which you want to make changes). If you are refused in the state registration of change of name, the head of the registry office must inform the reason of rejection in writing and return you submitted the documents. Certificate of change of name contains the following information: full name before and after change, date and place of birth, citizenship, nationality, person, change of name; drawing up date and number of record of the certificate on name change; the place of state registration of name change; the date of issuance of the certificate of name change. After the change of name you necessarily need to change other documents: passport, passport, ID, certificate on INN assignment, the work-book, pension insurance certificate, policy of obligatory medical insurance and all the papers confirming the right of ownership on movable and immovable property, and so on. The alternative is to present the old documents, together with certificate of change of name, but in this case, most likely, need a long time to explain. 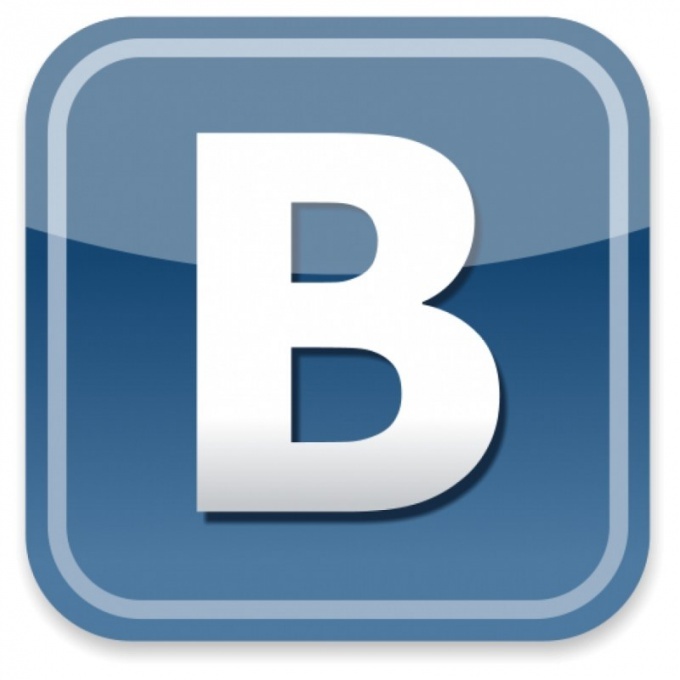 Vkontakte is one of the most popular social networks in Russia. Its interface is a bit like Facebook. There is also a news feed, you can make photos available only to certain users, etc. To change the name in the social network Vkontakte, open the website and enter in the appropriate box as a login and password. Login Vkontakte - e-mail address. The password you choose yourself. If you can't remember it - click the "Recover password". You phone (if it is "tied" to a profile) or e-mail address will come a new code. You need to enter it on the main page of the site together with the username. You can then change the password to another. The cipher must be Russian or Latin letters, numbers, and also to be different from previous password. Open your profile, look for the link "My page". It is located in the menu at the top left. There will be a button "Red". Hover over it and click the left button of the mouse. Before you open the data table. There's the name, surname, gender, marital status, date of birth, hometown, relatives, etc. Write in the first lines of a new name. You can write only in Cyrillic letters. Latin website does not accept. You can specify only the name instead of the name took the alias. Or come up with an interesting nickname. Except for the name on the tab "Red" you can change the family structure by adding wives, husbands, children, add contacts - phone, email, website. You can also fill the pages of "Interests", describing his hobby, "Education" - putting the number of school and Institute (so you'll be able to find classmates and fellow students), "Career", "Service" and "position in Life". The more information about yourself you leave, the easier it is to find you old friends. And in communication with it will help. You immediately are given to understand that you are interested in and what is not, filtering out unwanted people. Do not take as the alias for the name of a popular person. The administration of the site Vkontakte to monitor these profiles and blocks them without the possibility of recovery. Nickname or alias thought up by users of social network "Vkontakte" to hide their real name and surname. Data can be changed by filling some columns in the profile. To change the nickname in your profile on the website "Vkontakte", connect to the Internet, go to the portal and fill in the box in the upper left corner own password and login. The username is often the email address. The password set by the user. Not to forget it, create a document that make complex usernames and passwords. Easier not to remember every time a combination of letters and numbers, just copy and paste it in the correct box. To change the nickname of "Vkontakte", in the profile look for the link "My page". It is located in the main menu on the left, at the top. Next you will see a button "Red" written in light grey font. Go for it in the new menu. There you will be able to edit personal data - name, surname, gender, marital status, date of birth, hometown, etc. Locate the General tab and change the name or the name of the nickname. With some time for writing, you can only use Russian letters. Latin is not displayed in the graphs. In addition, the nickname should be decent and not to repeat pseudonyms, surnames, names of movie stars, politicians and show-business. Separate entries in the "Nickname" that was in the old version of the site no longer exists. Therefore, enter the alias will have in the box your name or your surname. The second line also needs to be filled. Except the nickname on the tab "Main" you can change the composition of the family, on the next tab "Contacts" - specify the telephone number, website and email. On the tab "Interests" to describe their preferences and Hobbies, "Education" - specify the number of schools and education (so you can easily find classmates and schoolmates). You can also fill the lines on the "Career", "Service" and "position in Life". If you change the name to a nickname, the old friends that are not in the list of your contacts, you will not be able to find. Vkontakte is a social network designed primarily for communication and exchange of information with relatives and friends and also to search for new friends. If you want to have your buddies seen your name written in English letters, you can write your name in Latin. Go to your page "Vkontakte". To do this, open a web browser vk.com. At the top left in the window that opens, enter your e-mail or phone number which you registered in this social network"; write the password and click "Login". Analyze whether you need to change the spelling of your name from Russian into English. Most often Russian name is specified in the native alphabet. However, if you associate with fellow foreigners, you can write your name in English. The foreign name is also better to specify in the Latin alphabet, especially if it contains letters, which have no analogues in the Russian language. At the top left of the page next to "My Page" a team "ed.". Click it to edit your name and surname. You will see a window with your personal data. Delete the entries in the fields "Name" and "Surname". To do this, activate the appropriate fields alternately with the left mouse button, and then press "Delete" or "Backspace". Change the input language from Russian to English. This is usually done by Ctrl+Shift or Alt+Shift. You can also select the desired alphabet on the taskbar. Click on the "EN" with the left mouse button, then will pop up a list of languages that were fixed on the language bar. Click on "EN English". 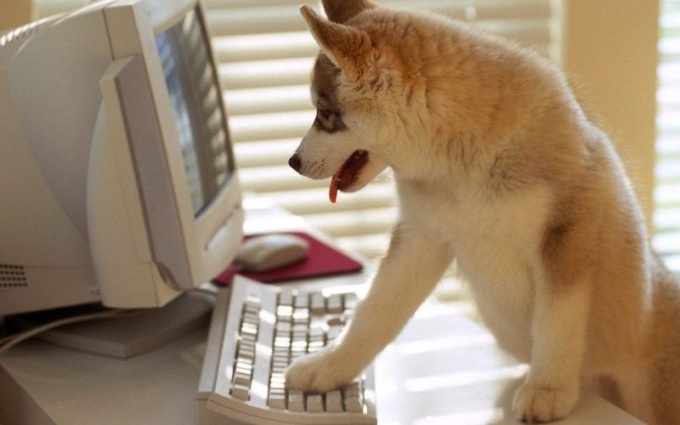 After that, the text that you type will be written in Latin letters. Activate the Name box, click. Write back your data in English letters. Similarly, fill in the field "Surname". Even if your name has letters that look the same in Russian and English, use to print only Latin characters. Otherwise you would be impossible to find using the "Search". Some letters of the Russian alphabet have no equivalents in the English language. To avoid confusion with the reading of your name, it is better to write the name exactly as it appears in your passport. Or you can use the rules of transliteration that are offered in the MIA Order No. 310 dated 26.05.1997. Click "Save" at the bottom of the page. Now your name is written in "Vkontakte" in English letters. It will be displayed on your home page, in correspondence and in the news feed of your friends if you'll leave on the wall of any notes or change the status. Despite the fact that now your name is written in English letters, you can find in the "Search" feature, even if the query was created using the Russian alphabet. In the social network Vkontakte has good customization possibilities, thanks to which the website users can at any time change its personal data, including name and surname. A few years ago to change the personal data of the user in the social network Vkontakte was quite difficult. If you read articles and reviews from site members on this topic, we will see how this process was problematic. The fact that earlier application for a change of name was considered manually. Checked them ordinary people – moderators, on which depended the final decision on the change of first name or surname. Therefore, this process was delayed in time up to several months. In addition, the user needed to verify your identity, for what the moderators might be asked to provide scan of passport, driving license or any other identity document. Complaints of participants of the Vkontakte administration did regarding the name change by marriage or divorce. And quite often the requests of users are rejected. Yes, and the name change was only possible once a year and only in the case when the application was considered justified. Perturbing the forum was extremely dissatisfied with the operation of the site and moderators, what you've repeatedly made posts in the group Vkontakte and on other "meeting place" of the Internet. In 2009, the procedure for changing names on the website was "paid" for it had to give as collateral dialed voice that after successful registration, return to the bonus account of the user. Currently all became much easier. For the change of name or any other personal data – name, date of birth, place of residence etc. – now there is a special page where the user can make all necessary settings and absolutely free. 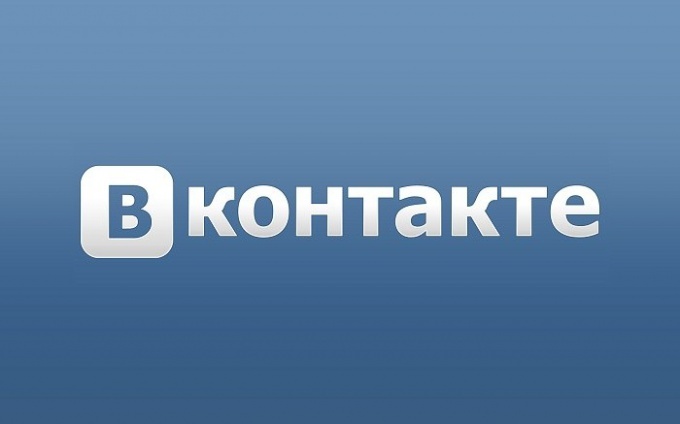 To start changing the names of Vkontakte, the user needs to log in to your account in the social network. How to do it, it is hardly necessary to explain: if you checked Facebook, the problems with accessing the profile should arise. Once in your account, under personal photo, find the link "Edit page", click on it and go to settings. Name is under "General". Here you can also change the name, date of birth, gender, marital status, hometown, add grandparents, children, grandchildren, parents, brothers and sisters. Second line from the top dedicated name. Using your keyboard's Delete key or click the arrow button erase the original text and type the new name. Below - the line "Maiden name" - you can write another name or leave this field blank. According to the rules of the social network Vkontakte, it is customary to specify the real data. They should be written in Russian language, so other users will be easier for you to find on the website. However, to comply with the recommendations or to Express individuality, only you can decide. Therefore, in the column "Name" in the edit section of your page, you are entitled to write what you think is right. To change your personal data on the website can be an unlimited number of times. Only after the change of name or edit the other sections don't forget to click "Save" to consolidate the final version.